The pinning of vortices at low inductions is considered within the Ginzburg-Landau theory for both dense and sparse superconducting wire networks with periods d ≪ ξ(T)and d ⩾ ξ (T),respectively. For dense networks, the depinning current is calculated analytically and found to be exponentially small compared to the characteristic pair-breaking current. The depinning current for sparse networks is obtained numerically. 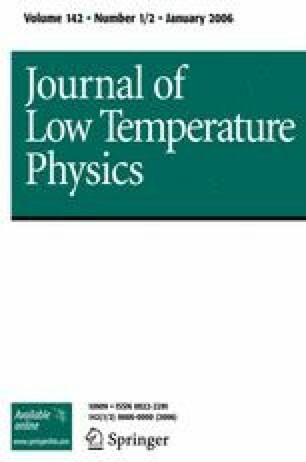 The anomalous compression modulus for a vortex lattice in a thin superconducting film is calculated, and the effects of the vortex lattice rigidity on thermally activated vortex creep in a dense network are investigated.